Pyrite comes from the Greek word meaning "a stone which strikes fire". Brass-yellow hue have earned it the nickname fool's gold because of its resemblance to gold. 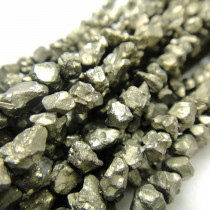 Pyrite is said to help overcome lethargy and fatigue an is the symbol for money and good luck. 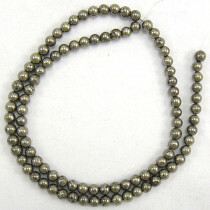 Pyrite Round 4mm Beads (~100pce Strand) - 40cm/16'" Strand. 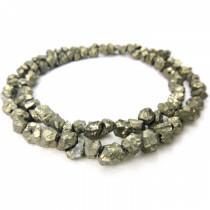 Pyrite Rough Nuggets Gemstone Beads ~7mm in size (~70pce Strand) - 40cm/16'" Strand. 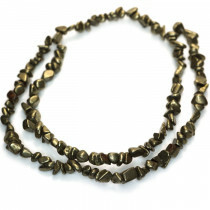 Pyrite Smooth 4x5mm Gemstone Chip Beads (~95pce Strand) - 40cm/16'" Strand. 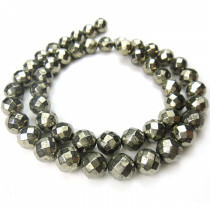 Pyrite Faceted (64) Round 6mm Gemstone Beads (~50pce Strand) - 40cm/16'" Strand. 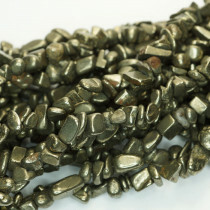 Pyrite Rough Nuggets ~4mm Gemstone Beads (~80pce Strand) - 40cm/16'" Strand. 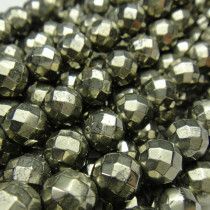 Pyrite Faceted (64) Round 8mm Gemstone Beads (~50pce Strand) - 40cm/16'" Strand. 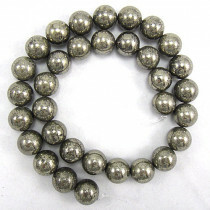 Pyrite Round 12mm Beads (~33pce Strand) - 40cm/16'" Strand. 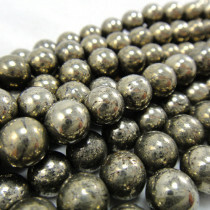 Pyrite Round 10mm Beads (40pce Strand) - 40cm/16'" Strand. 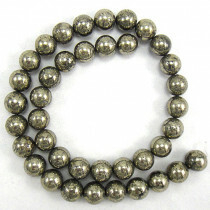 Pyrite Round 8mm Beads (~50pce Strand) - 40cm/16'" Strand.